Dr. V.M. (Bala) Balasubramaniam is Professor of Food Engineering in the Department of Food Science and Technology and Department of Food Agricultural and Biological Engineering, The Ohio State University (OSU), Columbus, OH, USA. V.M. (Bala) Balasubramaniam received a B.S. in Agricultural Engineering at Tamil Nadu Agricultural University, India, M.S. in Post-harvest Technology from Asian Institute of Technology, Thailand and PhD in Food Engineering from The Ohio State University. Prior joining OSU as a faculty member in 2002, Dr. Bala was working as a post-doctoral associate at University of Georgia Center for Food Safety and Quality Enhancement, Griffin, GA (1994-95) and Associate Research Professor at IIT National Center for Food Safety and Technology, Chicago, IL (1995-2002). Dr. Bala’s research focus has been on food process design, development and validation of various clean food manufacturing technologies that satisfy consumer demand for minimally processed foods with health promoting nutrients preserved. Recent laboratory efforts have focused on various innovative applications of high pressure based technologies in the food industry. His team has published more than one-hundred scientific research papers, twenty book chapters, four food processors factsheets and over one hundred seventy technical and invited presentations. Dr. Bala co-edited two books on high pressure processing and nonthermal processing. Dr. Bala teaches Unit Operations in Food Process Engineering to undergraduate and graduate students pursuing Food Science and Technology and Food Ag Bio Engineering degree programs. Dr. Bala also contributes various technology transfers and education to food manufactures via short courses, webinars, workshops and pilot plant demonstrations. 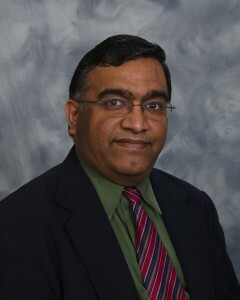 Dr. Bala has received various awards for his industrially relevant work including 2017 IFT Calvert L. Willey Distinguished Service Award, 2016 AITAA Distinguished Alumni Award in the category of academic/research excellence, 2011 Ohio Agricultural Research and Development Center (OARDC) distinguished research award, and 2006 Hormel Spirit of Innovation Award. Dr. Bala is a fellow of Institute of Food Technologists (IFT) and International Academy of Food Science and Technology (IAFoST), International Union of Food Science and Technology (IUFoST).